I got this 2001N in not completely dead condition and have just started working on it. It turns on and displays random characters. Image is fairly stable except for a few small areas where part of characters jitter. Flyback occasionally produces a high-pitched squeal; pushing on it gently gets it to stop. It's missing a black, moulded bezel for the monitor and a label. 1. It powers up and holds magic smoke well but I guess recapping is in order. However, all caps look healthy and shiny -- no bulges, leaks, stains etc. 3. This is 8K machine with probably BASIC 2 so not very useful -- I'll leave the board as is and fit "Commodore PET ROM/RAM replacement board" from Tynemouth Software (http://blog.tynemouthsoftware.co.uk/201 ... oards.html). This part has already arrived, along with the internal version of "PET microSD". I hope that "random character" display is due to bad expansion boards fitted inside PET (mostly just useless old ROMs) and that it may recover after I figure out how to remove these but even if it's bad video RAM or something else I don't really care as ROM/RAM replacement board should work around that. 5. I got correct vectorized label from Steve Gray (http://www.6502.org/users/sjgray/comput ... index.html) and had it printed on Vistaprint. Had to print it as a large window sticker, all other stickers they have were too small. Fortunately they have both behind-glass and on-glass options for window stickers. Although I generated the image with exact DPI they require, it turned out slightly fuzzy but at least the size was spot on. My next step is the removal of expansion boards so that I can fit the parts from Tynemouth Software. Nice to read this. If you remove the crt you will ruin its value regardless of its less than ideal image. 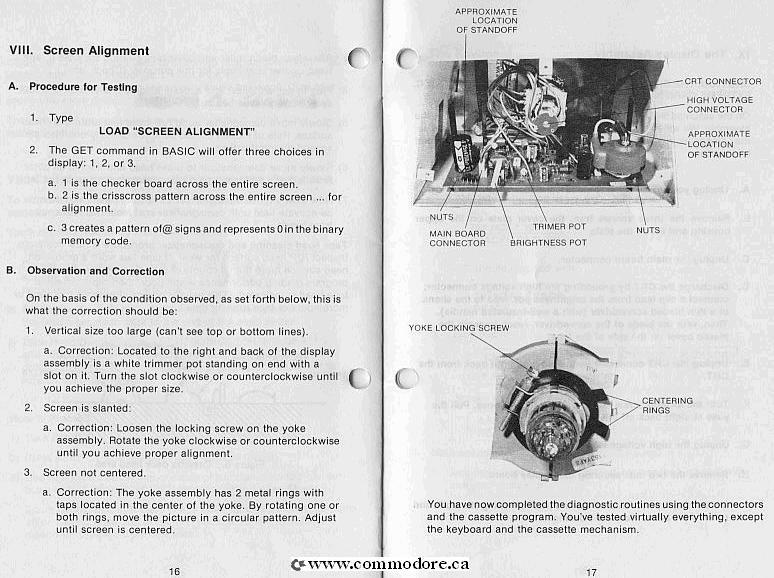 If you may take my suggestion, instead of removing the crt see what you can to tune the image by downloading the relevant service manual. These days such manuals are very easy to download free. If you cannot tune the image to your satisfaction instead of effecting the originality of the computer create a video output and use that for an external monitor. Again to retain value avoid drilling any holes. 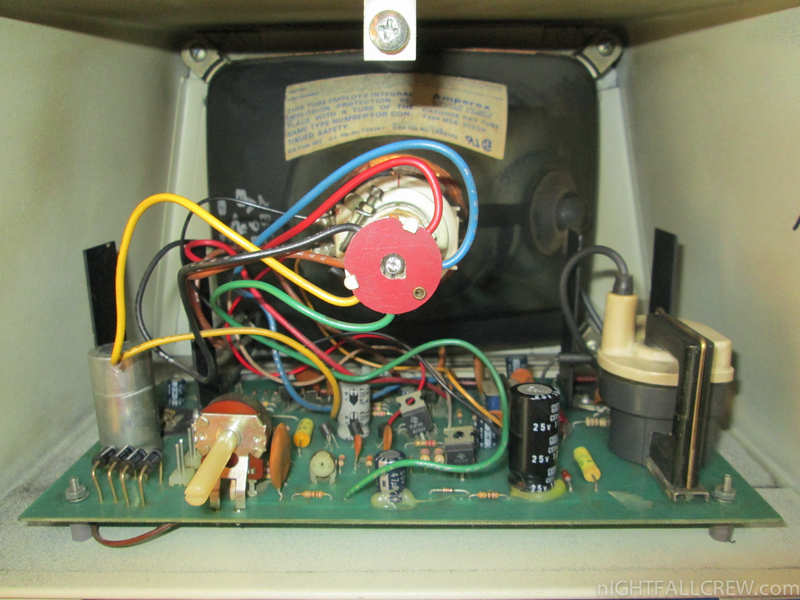 RE the capacitors.. the PET is a very old device now. Replace all the caps regardless of how they look. Electrolytic caps dry out without any visible sign externally. Caps dont bulge from age or use unless they were poorly made or subject to too much heat load. The only caps I have seen that looked bad were from the decade of bad caps that were more seen on much newer devices. The benefits of swapping for new caps are many. The technology has improved a lot since the pet was made. New caps perform better, can take heat better, reduce ripple better. A fellow did extensive testing on replacing caps vs leaving them as is and the reduced ripple from new caps vs old caps (that LOOKED ok) was massive. Went from earthquake like jumps to a more smooth wave throughput. Its upto you but I know what I would prefer feeding onto the elderly IC chips. If you find you have dead or faulty rom chips dont worry as most can be recreated using eproms, its just going to take some time. Rams chips can be substituted. If you dislike my advice and want to do your own thing thats cool. Hope it is useful anyway. Awesome having a Pet. Such a cool computer. Almost like a computer version of the VW Beetle. Just as lovable. The monitor is probably worth saving seeing how it's still bright and with no burn-in, but it doesn't look like an easy task. Doing that and recapping monitor PCB would improve things but that still leaves the issue of whistling flyback. Currently silent but if it started whistling I should probably think about getting a replacement; finding one doesn't seem likely, though.